One of my favorite trails! It is one of my favorite hikes, with an incredible view, and full of places to admire the mountains from different angles all the way. It is very quiet, with beautiful vegetation and a variety precious birds. You can see pictures on my instagram http://www.instagram.com/usa_roadtrips. 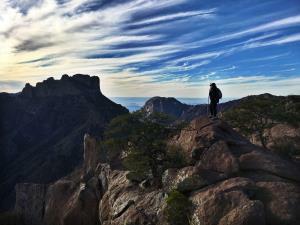 The Big Bend was our home for a week, and I can't wait to be back!